The weather in Morocco is a changeable variable one especially at the northern and the southern areas. The climate there is a mild and a sub-tropical one. As for the desert, the weather there is a hot one throughout the year. However, there are some cities that are well-known by its fine weather including: Ifrane city which is called the Switzerland of Morocco. 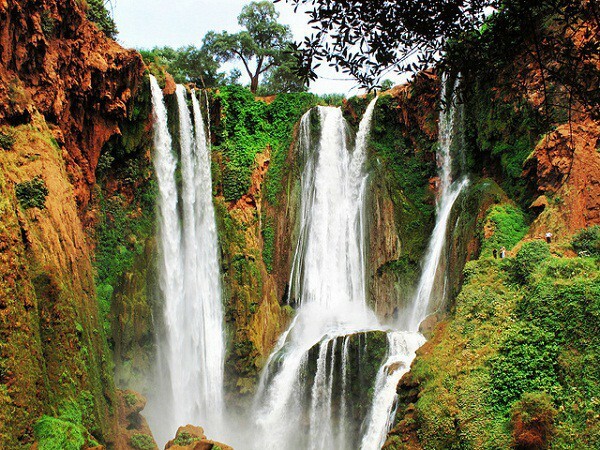 But if you are looking for a cold weather in summer season, you can visit the Eureka Valley Falls; which lies in the Atlas Mountains. Also, you can visit Souiria city which is called the Siberian of Morocco. This city is known by its cold weather throughout the year. Besides, it is worth to mention that “Gnawa Festival” is the largest African music festival that is held there every summer. Summer in Morocco starts from June to August.